Welcome to The Canary Pages - The WholeNote’s 17th annual directory of Ontario choirs. We hope you’ll enjoy browsing these profiles where choirs introduce themselves, in their own words.There’s so much to sing about! Are you are new to the region, maybe a lapsed chorister looking to sing again, a chorister on the hunt for new challenges? Are you secretly thinking of joining a choir for the very first time? This is the perfect place to start your search. There are choirs that have been around for decades, and groups new to the scene. There are choruses of hundreds of voices, small chamber ensembles, children’s and youth choirs, auditioned choirs and those open to all, for every level of skill and commitment. Whether you want to sing or listen, there’s a whole rich world of choral music just waiting for you to discover and enjoy. Click the cover to view our 2019 Canary Pages book, as it appeared in the May 2019 Issue, or browse profiles published in an online format below. Formerly the Upper Canada Chordsmen Chorus, A Cappella York is now a mixed chorus – men and women. Experience the joy of singing four-part a cappella harmony in the company of your newest friends while supporting our local community through various artistic and musical events. We sing in the “barbershop” style and are totally dedicated to pursuing excellence in entertaining our audiences. We are based in Newmarket and Sharon, Ontario, serving York Region and surrounding communities. Guests are welcome at weekly rehearsals. As a chorus member you will also enjoy membership in the Barbershop Harmony Society (an international organization) and its Ontario District. Opportunities for performing, quartetting, workshops and competitions abound. Now in its 36th season, ACHILL is a mixed, auditioned, 75-voice community choir established in 1982. ACHILL concerts are performed twice yearly in the surrounding communities of Orangeville, Alliston, Caledon and Bolton. Auditions take place in September and in January. Rehearsals are held each Wednesday at 7pm at St. John’s Anglican Church (6km east of Orangeville on Hwy 9). Tenors and Basses are encouraged to audition. 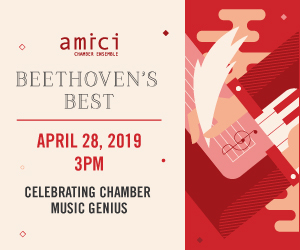 ACHILL has flourished under the expert leadership of our musical conductor, Mr. Shawn Grenke, who has also been accompanist to several of Canada’s leading professional choirs, including the Elmer Iseler Singers and the Amadeus Choir. All Saints Kingsway Choir provides musical leadership at weekly Sunday morning Eucharists, Festival Evensongs, community outreach projects and concerts year-round. The choir is made up of paid section leads and volunteer participants and welcomes new singers throughout the year. Recent performances include Benjamin Britten’s A Ceremony of Carols, Gabriel Fauré’s Requiem, festal celebrations with the drumming ensemble Beyond Sound Empijah, the Michael Occhipinti Jazz Quartet, Maurice Duruflé’s Requiem and Samuel Coleridge-Taylor’s The Atonement, both with the Nathaniel Dett Chorale. Jazz Vespers and lunchtime organ recitals round out the regular musical offerings. New members are always welcome to the Music at All Saints Kingsway family. Come and be a part of a fantastic choral and instrumental creative community. The Amadeus Choir, following 35 years under the leadership of Lydia Adams, welcomes Kathleen Allan as artistic director and conductor in the 2019/20 season. The choir performs diverse programmes featuring Canadian and international composers through a self-produced concert series, guest performances and special events at various venues in Toronto and beyond. The Amadeus Choir actively engages in educational and community outreach through choral workshops for students, music educators, composers and conductors. Regular rehearsals are held on Tuesday nights in the Don Mills and Lawrence area. The choir’s membership comprises singers from across the GTA. Annual auditions for all voice parts are held in May and June. Please call or email the choir office for more information. The Annex Singers is a spirited 60-voice auditioned choir with an eclectic repertoire spanning seven centuries. Under the dynamic and creative leadership of artistic director Maria Case, the choir performs three concerts annually, collaborating with a wide array of professional soloists and ensembles. Recently performed large-scale works include Fauré’s Requiem, Poulenc’s Gloria, and Mozart’s Great Mass in C minor. The Annex Chamber Singers, a smaller ensemble drawn from the main choir, is dedicated to presenting gems from the chamber repertoire. We provide ongoing professional development to all choir members and encourage young singers with a sponsorship program. Rehearsals are held Monday evenings at St. Thomas’s Anglican Church, 383 Huron Street. Please visit our website to arrange your audition.